With the advent of social media came a lot of 1-minute ‘journalists’ who would pick up the first word that comes their way, without verifying the source and authenticity of such information; and they would ‘run’ with it unmindful of the damage it could wrought. Journalism, as a profession, thrives on the 5Ws and H -Who, What, When, Where, Why and How- if it’s going to be regarded as news. More so, there is a need to add a sense of responsibility to whatever you aim to do. 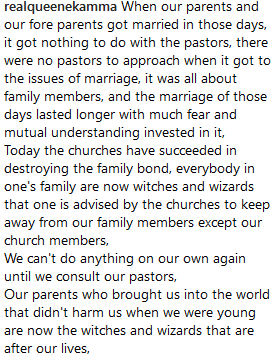 READ ALSO:Wife of RCCG General Overseer, Folu Adeboye Reveals The Number of Biological Children She Wanted to Have. Can You Guess? Comedian, Osundare Damilare ‘Asiri Comedy‘ seem to fit the above description perfectly with a laudable step he recently took on an issue that’s gone viral. 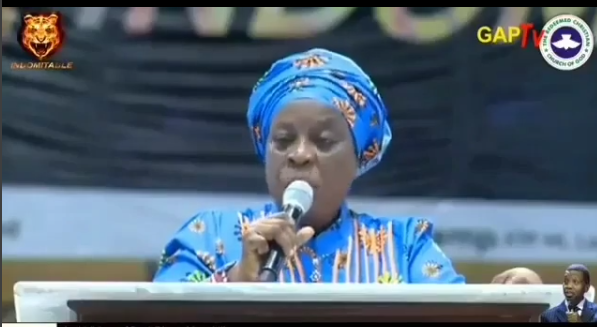 During the ongoing youth convention in the Redeemed Christian Church of God (RCCG), the wife of the General Overseer, Pastor Mrs. Folu Adeboye, 70, asked intending couples to seek counsel from their pastors before their parents. 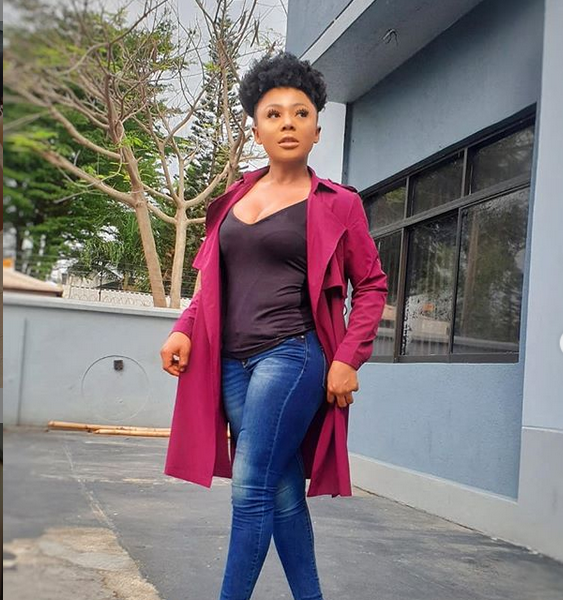 Controversial OAP, Ifedayo Olarinde ‘Daddy Freeze‘, 42, reacted to the news and took to Instagram to give his opinion about Pastor Folu Adeboye’s statement. 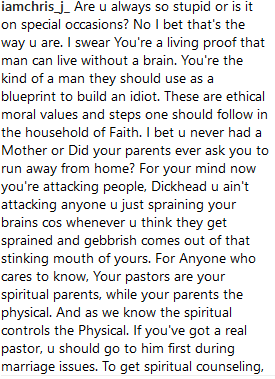 Below are some of the reactions that followed Daddy Freeze‘s counter-reaction to the Pastor’s submission. Asiri Comedy also took to his Instagram page to lend a voice to the ongoing discussion but he did so from an angle of responsibility; and it is worthy of note. Just last week I was jokingly telling someone that there will be a special judgment category for keypad gazelles. Keypad gazelless are those that jump on info without getting the full story. Its noble to get a clear perspective on issues before donating opinions which are otherwise not needed in the first place. Don't be a keypad gazelles. Don't forget gazelles are appetizers for Lions in the wild. Be wise. Upgrade. Be a Lion not a gazelle. Be bold be calculative Be discerning. You don't need an interpreter to understand what Mama was saying. Did she downplay the place of parents? NO She was simply giving wisdom to achieve order in the HOUSE of God.